WINNER: The winner will be randomly chosen from comments received on DT member blogs. The winner will be announced on the CDS blog Thursday, July 19th. I had a great time doing this blog hop - thanks! Great hop!! Can't wait to see what the new blog ha in store!! Wonderful blog hop!! All the DT's creations were amazing!!!! Loved the hop! All the cards & images are super adorable!! 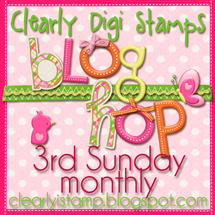 Fantastic blog hop ladies! I tried but was unable to leave a comment on Lisa's card. Will keep trying. I loved all the wonderful creations you've made! Great hop and sooooo much talent!